Knights fans were out in force for Homecoming and Family Day as varsity, JV and Middle School teams competed at home. 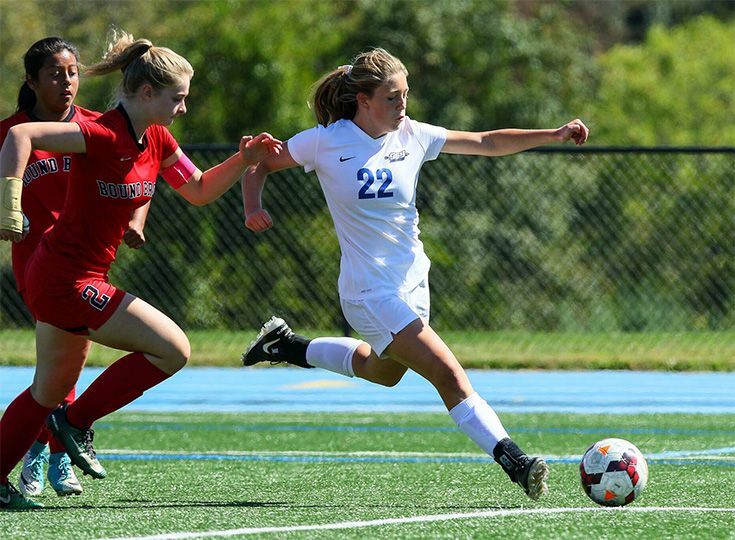 Among the varsity teams, girls' soccer, currently 6-1, earned a decisive 8-0 win over Bound Brook in the first round of the Somerset County tournament. Senior Ava Diggins scored two goals, and senior Amelia Kirby notched a goal and two assists. Sophomore goalkeeper Theresa Zimmer came out of the goal to score two goals as well. Boys' soccer lost a nail-biter against the Hun School of Princeton. The Knights kept the game tied at one through the first overtime, but a Hun goal in the second overtime cost the Knights the game (2-1). The varsity girls' tennis team was away at Pingry, competing in the Somerset County championship. The entire team advanced past the second round, and freshman Mayjah Jean-Pierre advanced to first singles championship. In cross country, the Knights hosted Warldaw-Hartridge and South Hunterdon High. The boys finished strong, with Niels Rongen '20 taking second overall and Matt D'Ovidio '19 trailing just seconds behind for a 2-3 finish. On the girls' squad, senior Nicole Johnson posted second place overall. Among the JV teams, girls' tennis had an outstanding day, defeating Wardlaw-Hartridge 5-0. JV boys' soccer lost 3-0 against the Hun School. In Middle School sports, both boys' and girls' soccer defeated Wardlaw-Hartridge (4-1 for the boys and 4-0 for the girls). The boys' cross country team defeated Wardlaw-Hartridge, with seventh-grader Ryan Getzoff taking first overall and sixth-grader Jack Ryan taking second. The girls' squad lost the meet, but eighth-grader Emma Ryan took second overall. Girls' tennis also notched a win, defeating Wardlaw-Hartridge 7-1. Congratulations to all of our teams for an outstanding day. Go Knights!